Combo Amps Vs. PA Systems? You want the best practice amp, but with all of the amazing options on the market, you know it is likely that you’ll make the wrong choice and waste your money. Here are several incredible practice amps that I want you to look at. I’m confident you will be super pumped about your buying decision if you go with one of these. 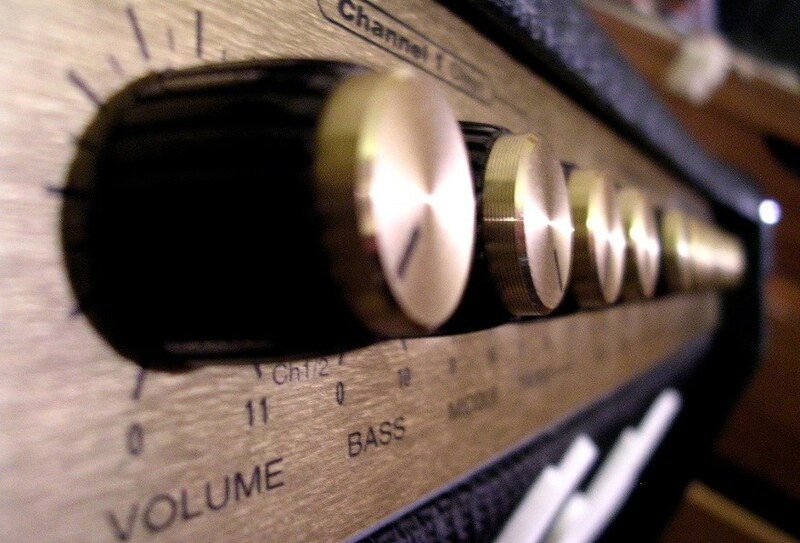 The key thing is to get a guitar amplifier that encourages you to practice. Something that is easy to setup. It also needs enough bells and whistles to make you excited to play, and is yet cheap enough that you can buy it with pocket change. 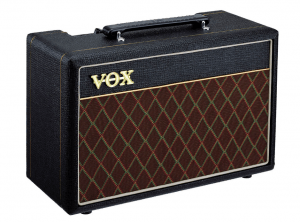 Here is a list of Guitar amps that are great for practicing. I’m assuming that you will likely use this amp for performing at a few gigs. So the amplifier needs to be a little bit versatile, if possible. However, you won’t be using it primarily for performing. And we need to find one that is affordable. Because of that, a combo amplifier is probably your best bet. Combos have become very competitive in recent years. They are lightweight and offer excellent volume and tonality. So we’ll definitely have some top picks from that category. Also, if you get a unit with “modeling” (digital processing) it will let you experiment with different sounds and start practicing your favorite songs even without some of the effects pedals. Public Address systems are notoriously lacking for guitar playing. Overdrive pedals can kill them. They don’t represent the sound accurately. There are just a lot of reason why not to go to with a PA system. However, there are a few people who will go with a low-power head and run it through a PA system for a versatile — albeit lacking — ampish type setup. And, for this review, we’re staying away from the head/amp sets. I just find that they don’t offer as much bang for the buck. For more expensive amps, we might spend more time discussing how the construction of the box and the different speaker materials affect the end sound. However, for the price point we are shopping in today, what is going to matter more is the end output and whether you are getting a top-notch sound. Our top pick is this great little pile of power. The amp models that come with this piece provide sounds that are very interesting and very real – way more so than other modeling tools that you can find out there on the market. They never sound processed or digital, but with the gain cranked up you can achieve a wonderful, overdriven sound. In particular, I like the Twin Reverb, the Bassman and the Deluxe for sounds that are full and strong. It’s also the only modeling unit in this price range that offers really great vintage tones. 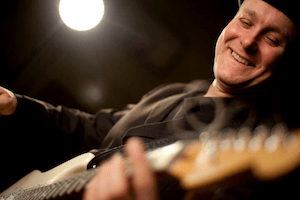 It is the perfect choice for you if you play classic rock, rock, funk, blues, country, etc. While you do have a few heavy and metal options with this setup, it does lack some of the chunk that diehard guitarists will be looking for. It is likely that more committed “metal heads” will be better satisfied with stuff from Line 6. Another amazing feature on this piece is the ease it offers for tone tweaking with the amp controls. The controls clearly show you where you are and what you need for editing your tone. The Fuse software offers even more in-depth control as well as the many tones submitted by users to assist your sound shaping process. With the Fuse software you can add almost any effect into your playing as well as tweak and alter them just like you could if you were using real pedals. It’s easy to use and yet much more in depth and detailed than many other pricey multi-effects units out there on the market. Also included is the Ableton recording software that is fully usable without paying for upgrades. This software is very user-friendly. Additional features on this piece include a headphone jack and an AUX in. Overall, this amp is very easy to use, looks great and produces high-quality sound. It has great volume range, allowing you to crank it up loud or back off and play quietly while still maintaining really great quality sound. The sounds that come out of this choice selection sound much more like a tube amp, rather than a digital one. Although not the best option for larger live performances this is a great option for practices or small gigs. The small size and light weight make it very portable and wonderful for travel. I’ve reviewed a few of the Bugera models on this site, including the V20 and the BC15. I’m a big fan of the brand and I feel like they offer some of the best value. The Bugera V5 uses uses a 8-inch British-made Turbo sound speaker. I’m a fan of The Killers, Oasis and other Nuwave rockers, so I have a soft spot the nuwave sound and the quality build of British rock equipment. It’s a nice change of pace from all of the Chinese built equipment that dominates this industry. This is the only all-tube amp on the list. It uses the 12ax7 preamp tubes and the EL84 power tube. For those of you who want a refresher on your tube history, the EL84 was the upgrade from the original 6v6 tube and was pretty popular in British Invasion bands like The Beatles and The Animals in the 1960s. You’ll be interested in this amplifier if you want clarity of sound. It doesn’t do distortion as well, but is perfect for Blues and Rock. This small amp only runs on 5 watts which is perfect for practicing electric guitar and playing in small coffee shops. If you want a little more power, look at the V20 which offers a few more effects and can also work as a monitor if you are playing larger gigs. The Line 6 Amplifi is a new amplifier for a new age. It is unlike anything the guitar world has seen to date. The core of this amplifier is it’s bluetooth compatibility. It comes with a wireless remote that you download to your phone. From this remote, you are able to control the amplifier, and access over 200 effect configurations. It also has preset configurations so you can recreate the sounds of the greats like Slash or Hendrix. Because it is bluetooth compatible, you can also stream music from your phone. This allows you to jam along with your favorite artists, or easily incorporate a drum track or backing track when playing at venues. One of the other features that our modern age will appreciate is the USB interface. Looking to start a Youtube channel? Want to mix your own music? This handy amplifier makes it easy to get your tones into your PC. The fact that it streams music means that you can also use this one as a Hi-Fidelity boombox, getting double-use out of your investment. This is a wonderful little practice unit for artists who are experimenting with different sounds and who want to interface with their computer. However, it lacks the power needed for playing at live venues. This lack of power is exactly what makes this the best practice amp. The Roland Cube series has a devoted following. They have mastered the small amp game, and their Cubes are used not only for practice but also as dedicated monitors on-stage. My favorite for practicing is the 10GX. This 10-watt amplifier with 8-inch speakers are pretty standard for this type of system. However, what isn’t standard is their COSM or Composite Object Sound Modeling. This system breaks the sound down into separate parts that can be independently controlled. As a modeling amp, it is able to reproduce sounds that you only get with more expensive models. 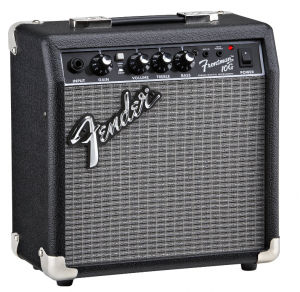 It comes with three modes: Clean, Crunch (Dirty) and Lead, making it an ideal amp to practice your electric guitar. It also allows for music input via an Auxillary device and headphones output for not annoying your roommate with your 2 am jam sessions. 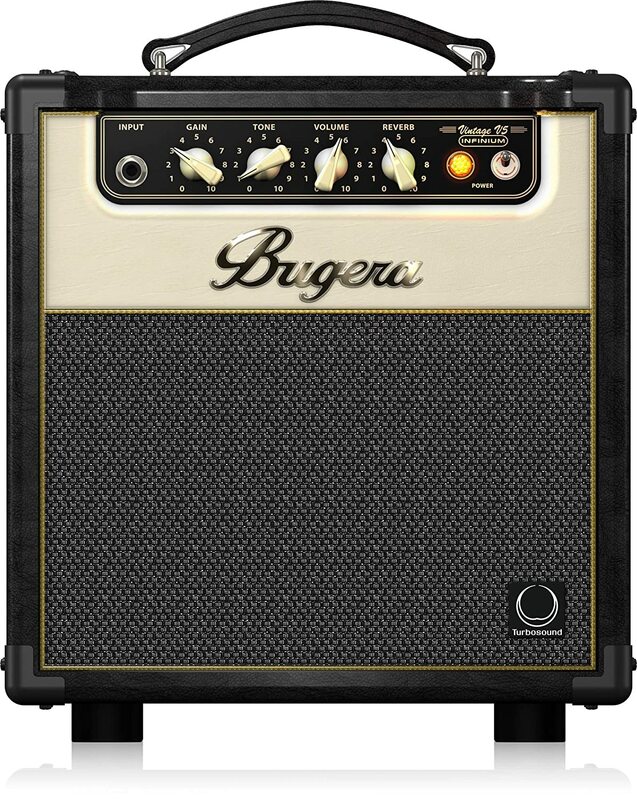 Once again, this is a pure practice amp. I wouldn’t plan on doing any gigging with it, but is an ideal kit for honing your craft. If you hang around this blog much, you’ll find that I like 20 watt amplifiers. I find them to be the minimum power needed for good sound during a practice session, and yet large enough to play at most coffee shops. One of the challenges with these small amps is getting one that delivers enough overdrive to truly jam with it. The Orange Crush delivers that. With both a clean channel and a dirty channel, this one puts more emphasis on the “dirty”, allowing you to switch back and forth with the flick of a switch. It also allows you to plug your pedalboard into the back for accurate practice sessions. This is an ideal amplifier for the guitar player who wants to invest more in a good sound, without paying for a lot of effects options. It assumes that you’ll supply those through your own pedals. Because of this minimalism, the Orange Crush sometimes gets passed over by beginners. This is a very simple little unit without a lot of bells and whistles. It is solid, albeit very small, amplifier with great sound and a classic look. It is only designed to do a handful of things, but to do those few things very well, unlike so many others that offer countless options but tend to be jack of all trades and master of none. This little path finder comes with input and output, volume button, gain button, overdrive button and two knobs for adjusting tone. 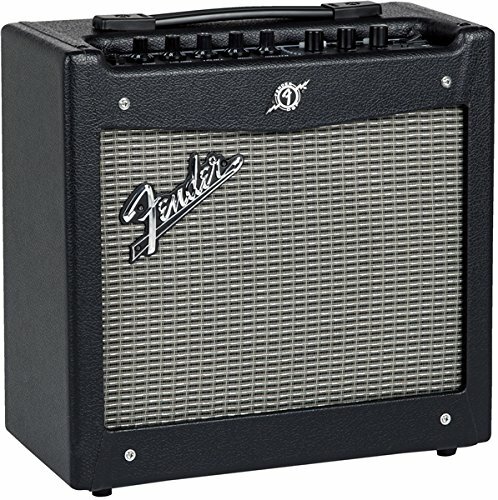 For a budget selection, this will blow other smaller amps such as the Peavey and the Fender Frontman out of the water. Keep in mind, though, that if you are wanting something for shredding purposes, you would be much better advised to look elsewhere. Though it offers up some nice overdrive tones for such sounds as some blues, don’t expect anything too crazy out of it. However, despite its bare-bones offerings, the sound that this baby puts out is absolutely fantastic. Add in a multi effects pedal to your mix and you will find yourself with a wonderful, portable little practice unit. This piece is low wattage and therefore is best for home practice, but it still has a very full and rich tone despite the low wattage, smaller size (somewhere around the size of a large shoe box) and lighter weight. Has good volume, though remember that it won’t compete with the volume of a larger, higher wattage amp. However, when looking for a practice amp within a competing price range, you will be hard pressed to find one with better sound and volume. This little gem does a good job of recreating the tube amp sound that you would find in a bigger vox tube model and is a solid state amp with no tubes to replace. On the downside, you will find that the onboard overdrive doesn’t do nearly as good of a job as the tube overdrives on the bigger options. However, you can just use the clean tone settings along with an effects processor, which are easy and inexpensive to find and easy to hook up to this amp. Also, comes with a headphone jack and a line out port. For any beginners out there, or more advanced players looking for simplicity, great quality, and great sound, this little guy is exactly what you need. 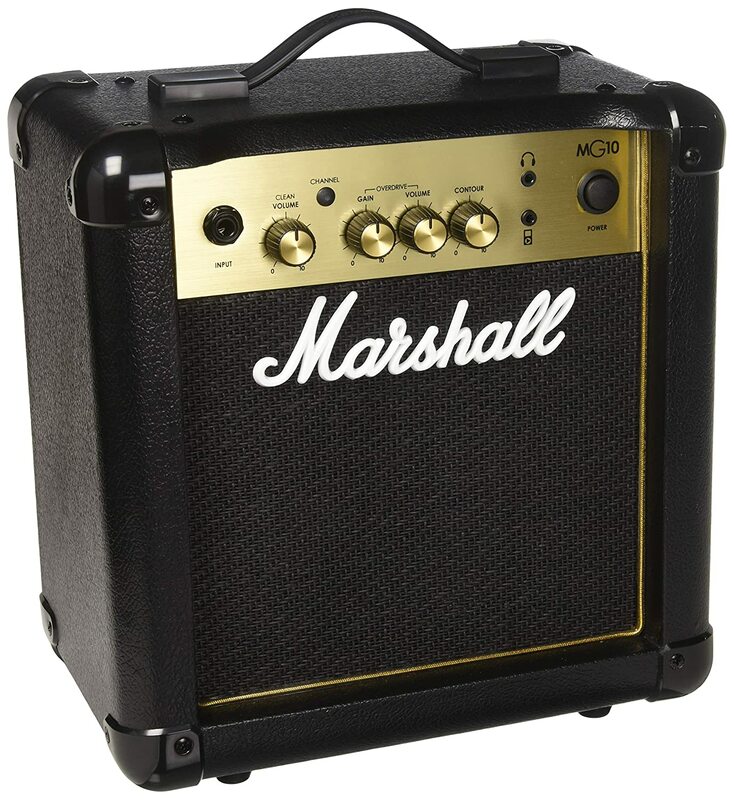 This Marshall is a higher-class model than most that we have reviewed so far. It is a 10 watt amplifier with a 6.5 inch speaker so clearly just a practice amplifier. However, it does bring greater tonal quality, allowing you to hear the nuances of your playing in greater detail. It has clean and overdrive channels, and the basic adjustments. It also offers an Auxillary input for introducing your own tunes or backing tracks to play along with and headphone outputs for quiet practicing. Without all of the extra features, this one tends to be overlooked. However, I feel like it is one of the best, simple, practice amplifiers. 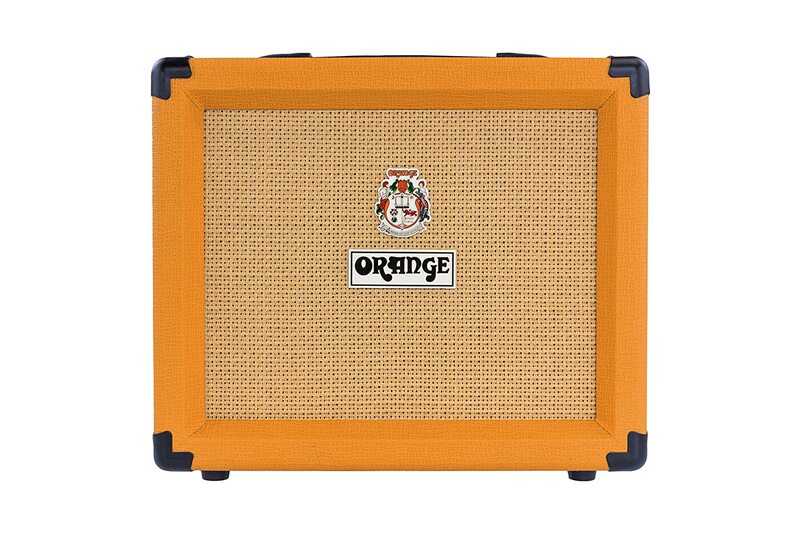 I’d start with this one, and then upgrade to a stage amp later. Are you looking for an amplifier that is inexpensive and yet will provide you with a good reliable sound performance for your practice sessions or for jamming out in a small space without annoying the neighbors? Or are you looking for a simple piece of equipment that is not bogged down with the usual multitude of built in effects? This mini Fender just might be the perfect answer to your needs. 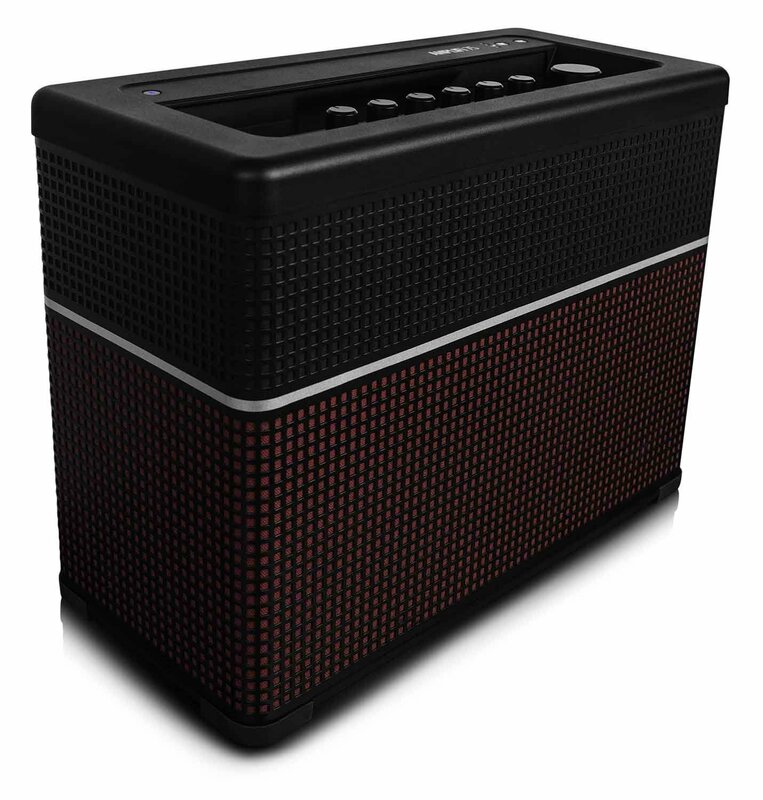 Although small and lightweight, this amp accomplishes fairly loud volume for its size. It has a great crisp, clean sound that can be dirtied up if you wish, by using the built-in overdrive and produces pleasingly warm tones. It can also be turned up loud enough for small time jamming. This is a wonderful piece for a beginner or if you are looking for an every day, bedroom/ office/ small apartment practice unit for low volume practice. It weighs in at around ten pounds making it easily portable and very user-friendly while it really packs a punch. As you explore options with this unit you will find on this amp a 1/8 inch headphone jack, 1/8 inch input, overdrive on/ off button, gain dial and aux port for easily hooking up mp3 player, stereo, iPod/ pad or phones to jam along with. As far as size, it is only slightly bigger than a shoe box, making this handy dandy little thing easy to store on a shelf, under the bed or desk, or behind the couch while taking up hardly any space at all. Metal lovers will not find this piece ideal for their craft. It is great for blues or if you are looking for that classic Fender crunch, but if you are looking for something that works with a metal pedal, look elsewhere, like maybe for a Peavey Rogue G10…or be prepared with a larger budget for a higher end amp. This amp does an excellent job on exactly what it was designed for – basic amplification for practice or jamming in a small setting. Sturdy, solid state amp, with no tubes that will need replacement. It runs off ac power and other features include volume control and a simple to use treble/ bass equalizer. Want more effects? The Blackstar is the one to look at. With a Clean bright, Clean Warm, Crunch, Super Crunch, Overdrive1, and Overdrive2 channels, this little unit is ready to party. You can also download more patches from your computer for even more effects. They make a big deal out of their ISF control. Basically, this lets you shape each sound to either emphasize the midrange, or to focus more on the the top and bottom while tuning down the midrange tones. I’ve been playing the more expensive Blackstar models and I like their versatility. I think I might pick one up, soon. 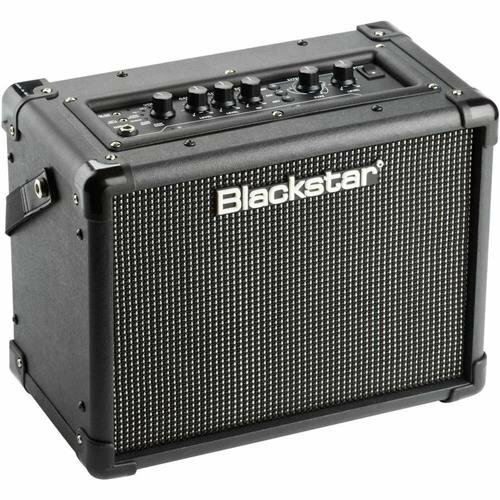 This little 10 watt unit is everything you would expect from the Blackstar line with an emphasis one getting the most effects out of your little box. 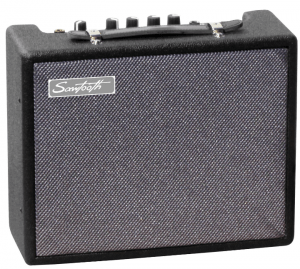 If you are looking for a good quality starter amp, look no further than this 10 watt Sawtooth. You would be hard pressed to find an equivalent selection out there for less than $50. This little guy really is best for a practice setting or a very small gig or for a beginner needing a simple piece of equipment that will deliver solid quality sound. It is wonderful for running scales, practicing chords and just jamming out to your favorite songs. Despite its small size and low wattage, it has impressive volume. Although it may not serve well for performing in front of large crowds, it easily competes with amps that are in the $60 price range rather than the little 9-volt battery powered amps with the two-inch speakers that are typical what guitarist settle for. This amp is very portable weighing 6.1 lbs with a 6.5-inch speaker so it will not take up a lot of space. It comes with controls for mid, treble, bass and volume as well as an overdrive switch for shifting back and forth between clean sounds and overdrive.